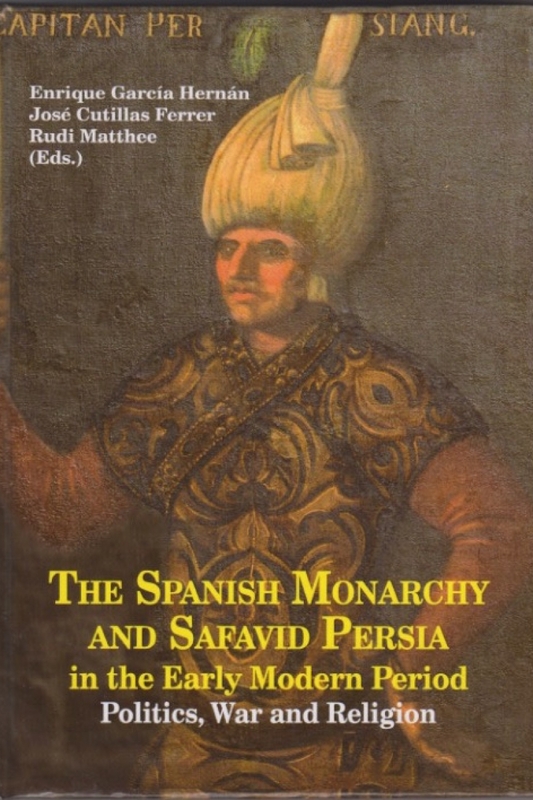 ecent scholarship has transformed our understanding of the relationship between the Spanish Monarchy and the Safavid Persian Empire in the sixteenth- and seventeenth-centuries. Around twenty years ago, historians began to explore diplomatic links between ‘the Sophi’, as the leading representative of Shi’a Islam, and ‘His Catholic Majesty’, the title commonly used by the Habsburg Kings of Spain. The foundations of this relationship were set down during the reign of Shah ‘Abbas I (1587-1629). This diplomatic alliance was of considerable strategic importance, being conceived of as part of a coherent military and economic policy directed against the common enemy of both regimes – the Ottoman Empire and also, representatives of Sunni Islam. In recent years, academic studies have greatly improved our understanding of the diplomatic relations between these two ‘superpowers’. Scholars have delved into a number of related themes looking at the social status of immigrants from Persia to Spain and examined in depth their integration into Castilian life. This research has brought to life patterns of employment, networks of correspondence and lines of literary collaboration that spanned frontiers, and so have underlined the contribution of Persian Emigre communities to the intellectual and cultural life of Spain. These groups left a deep and enduring legacy, establishing lines of communication, interchange and dialogue that endured throughout the early modern period. The aim of this seminar was to extend the frontiers of knowledge and examine a number of crucial aspects of the relationship between Spain and Persia in the early modern period, with particular emphasis on topics and themes relating to politics, the military and religion. 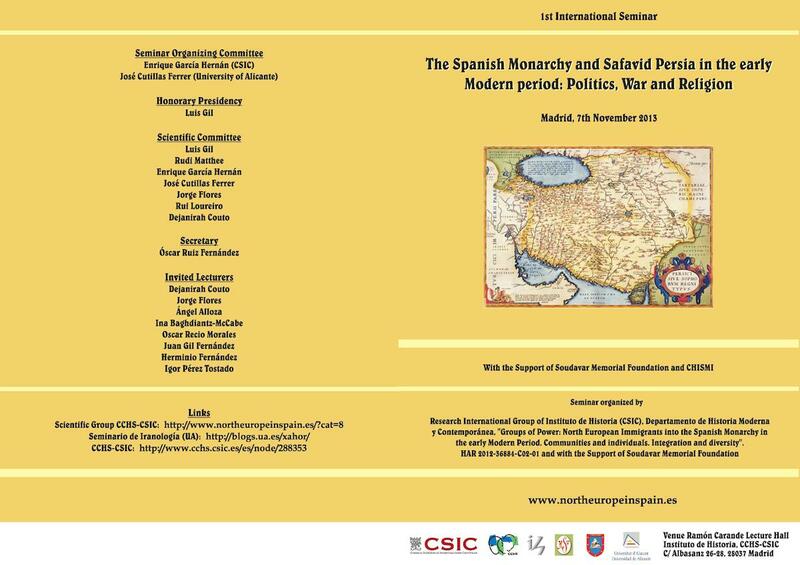 The proceeding of the conference were published by Albatros Ediciones, Valencia under the title THE SPANISH MONARCHY AND SAFAVID PERSIA IN THE EARLY MODERN PERIOD: POLITICS, WAR AND RELIGION Eds. Enrique Garcia Hernan, Jose Cutillas Ferrer, Rudi Matthee, with a foreword by SMF trustee, Fatema Soudavar Farmanfarmaian.